Rivers State Governor, Nyesom Ezenwo Wike has declared that the leadership of the All Progressives Congress (APC) only launches campaign of calumny against the Judiciary when they lose cases, but applaud them each time they emerge victorious. The governor also stated that the outcome of the litigation on the Rivers East Senatorial District Seat has confirmed the alarm he raised that INEC and police were in partnership to rig elections in the state. Speaking during a stakeholders meeting with leaders of Okirika and Ogu-Bolo Local Government Areas at the Government House Port Harcourt on Saturday, Governor Wike said: “Now that we have lost, nobody is saying that the Judiciary is corrupt. They are not saying that the Judiciary is corrupt because they have won. “Tomorrow if we win, they will say Judiciary is corrupt. Then they will send security operatives to arrest the judges. Nobody will bother to go now and arrest the judges to find out what happened “. The governor regretted that when the ChiefJustice of Nigeria visited the state to flag off the construction of the State Judges Quarters, the APC went to town, claiming that the PDP will procure all judgments at the Courts. He noted: “But now, you will not see them claiming that the judgment was procured. I urge you to continue to have confidence in the Judiciary “. 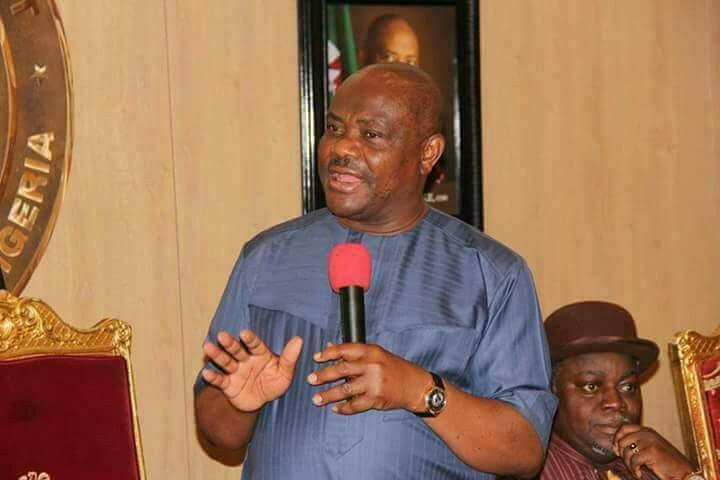 Governor Wike asserted that police colluded with APC to tender concocted results at the tribunal , which was relied upon to sack Senator George Thompson Sekibo. He said: “Remember, last year , I raised an alarm that INEC and Police were planning to rig the rerun elections. We caught people printing INEC result sheets and reported the matter. Somebody was arrested. They sent the person to Zone 6 Calabar and granted him bail. Till now, they are yet to complete investigations into that critical matter. “INEC declared results. All of us know that if elections are held twenty times, Senator George Thompson Sekibo will win. INEC printed their own result sheets, same serial numbers, these people printed their own result sheets with same INEC serial numbers. You ask yourself, how did they get to know INEC serial numbers. Because they could not smuggle in their own result sheets, INEC declared the authentic results. “Unknown to us, they had gone to connive with the police. That tells you what they want to do in 2019. Thank God, they have alerted us. Instead of them to write INEC to give them the certified true copies of the result sheets, they went to the police. Police are now in custody of INEC results. Police certified their own and gave them “. The governor said that while INEC authentic results were rejected, that manufactured by the Police High Command was admitted by the tribunal. He said: “I have no trouble with that, but I thought that the reverse should have been the case. It has opened our eyes ahead of 2019”. In his remarks, Senator George Thompson Sekibo stated that Governor Wike stood with him all through the struggle. He assured the governor of the support of Okrika people at all times. He said contrary to insinuations, his loss at the Appeal Court has nothing to do with the so-called Ikwerre Agenda . He said: “I have been sacrificed and buried, but PDP will come back stronger and better . We shall stand with Governor Wike”. Also speaking , Former Minister of Transport, Dr Abiye Sekibo thanked Governor Wike for his support for Senator George Thompson Sekibo. He said: “The Okirika people are a political force and they stand behind Governor Wike “. Speaking on behalf of the Traditional Rulers, King Nicholas Ibiebele Nimenibo, Amanyanabo of Ogu assured the governor of the support of Okrika people in the discharge of his duties.